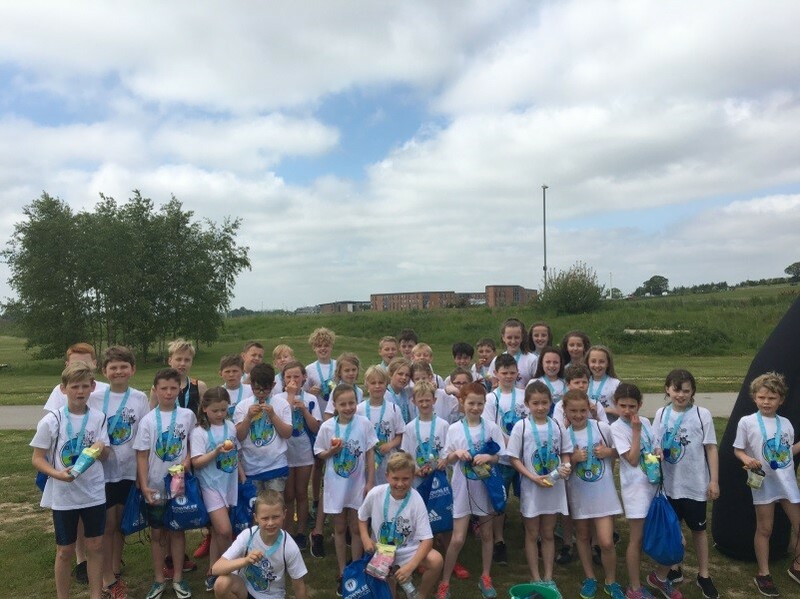 We took 39 KS2 children to a taster triathlon event at York Sport. This was organised by the Brownlee Trust and a way of getting as many children as possible trying this exciting sport. Over 1000 children were involved in one day! All the children had a fabulous time in this very well organised event and were rewarded with a goodie bag, a smoothie and a Brownlee swim hat to keep.